This camera can be found on the following webpage. In brief its specs are outlined below, including a picture of the thing as well. 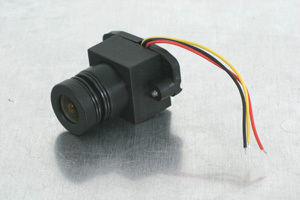 With a pinhole optic the camera is the SH69A CMOS Col cam.